Is Zillow My Friend? Google My Business Fights for Agents! A great deal is being written lately about how Zillow is growing. Today Zillow is the number one website in the real estate industry. It is followed by realtor.com, which is number two. Zillow’s global rank stands at 119, whereas realtor.com’s global rank is 280. In the scheme of things, that difference may not amount to as much as one might think, but it does speak volumes as to the digital footprint Zillow has been able to establish since its founding. Currently total annual traffic to the Zillow website is 168 million visitors; this compares to 72 million annual visitors to the realtor.com website. The organic search for both real estate websites is very close to each other; realtor.com comes in at 95.72% and Zillow stands at 96.2%. But there are a lot of questions arising from the business model that Zillow is pursuing. Zillow derives approximately 85% of all its business from selling leads and services to real estate agents and loan officers. In 2018, Zillow reported $1.33 billion in total revenue. It is projecting an annual revenue target of $22 billion in the next 5 years. Zillow’s revenue verticals are represented by agents, lenders, rental and new construction leads and services. It is also providing mortgages to approximately 3,000 homes for home buyers a month. Zillow is also committing to buy 5,000 homes per month, which it will resell on the market. Its progress appears to put Zillow in head-to-head competition with its own customers, but this may not be the case since the current real estate industry is put at $33.3 trillion dollars. Still, Zillow is gaining massive market share. But there is one tiny little factor squeezed into all those numbers, and that is that in order for a home buyer or home seller to get to the Zillow website, they have to use Google. And this is where the real estate agent has a chance to take some ground. In one very real way, Google may provide the leverage to the real estate agents that they need in order to gain visibility, customers and ultimately market share. Google is now committing enormous resources to building-out its Google My Business platform for small businesses and entrepreneurs. Even if you don’t have a website, and you’re a home-based business, you can have your own Google My Business page without the address showing. 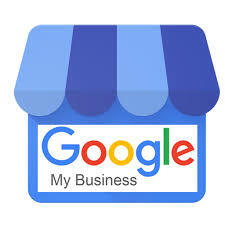 What makes the Google My Business platform so powerful is that you can have all of your favorite customers and fans posting their rave reviews of your goods and services. This gives immediate credibility without a single dime being spent in advertising. In addition, Google My Business can also post blog posts. And just recently Google My Business is now allowing videos to be posted right there on your Google My Business site. And it’s all free. The verification of your own Google My Business listing can take a few days and even up to two weeks, but it is well worth the effort. There is nothing Zillow can do to stop the success of a single real estate agent Google My Business page, since Google is the one that provides the algorithm.